Tsumu? I asked the children in the school and youth club when they came to my storytelling workshop, “Where do we go?” In the smartphone, children down to 6 years old have access to all the audio-visual tools needed to tell and share their stories. The workshop was offered in September 2014 and then again in May and July of 2015. The workshop framed my visual ethnography and participant observation, and was the gateway to learn more about the community in which I had been working the last two summers as a tour guide. 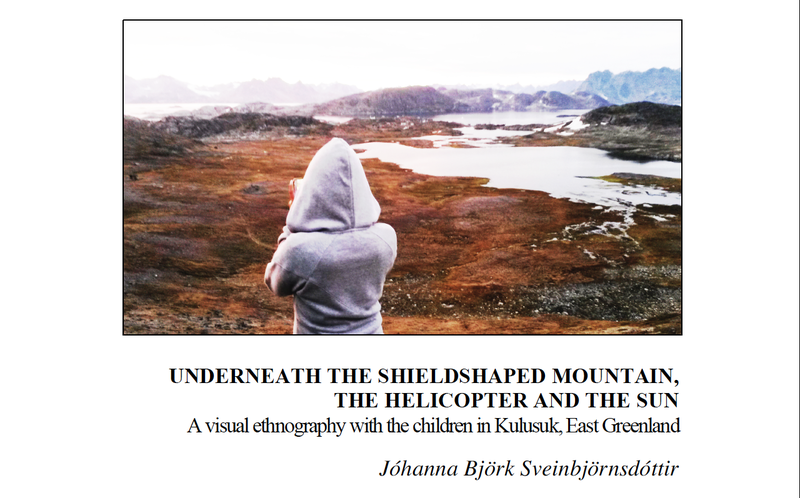 Now, as an anthropologist, I came with a research-question: How can a popular media-equipment such as the smartphone be best utilized to find, record and share stories and worldviews of the children in Kulusuk, East Greenland? And the other side of the question is: What can we learn from such practice? This is a visual and textual account of my ethnographic fieldwork.